Buying toothpaste can be overwhelming. With so many choices, it’s hard to sort through them all. 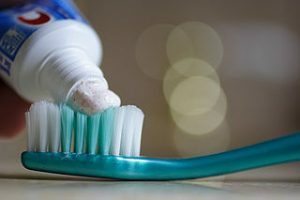 And with brands focusing on specific benefits like whitening, tartar control, enamel strengthening and more, the question arises: what is the best toothpaste to buy? Toothpaste is classified as a cosmetic according to the Food and Drug Administration. Basically, that means there is a lot of leeway for companies to make advertising claims. If the product doesn’t harm you, advertisers can say just about anything they want. Our recommendation is to look for the American Dental Association Seal of Acceptance. All products with the ADA Seal of Acceptance have been shown to meet ADA criteria for safety and effectiveness. In fact, you can review all the toothpastes that meet ADA criteria, sorted alphabetically by brand. To keep your teeth and smile healthy, brush your teeth regularly. And be sure to schedule a visit with Dr. Buran. From routine cleanings, fluoride treatments and complete smile makeovers, Dr. Buran offers the latest dental techniques to give patients the most up-to-date dental service.